The revolution will be presented in doll form. 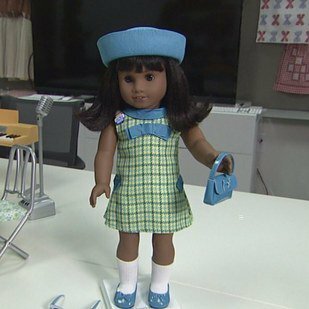 American Girl, a brand that creates products, like dolls, and experiences, like fashion shows, to encourage young girls in wholesome and fun play. In the past, the company has released two African-American dolls: including Addy, a young girl in 1864 who escapes slavery and promotes freedom, as well as Cecil, a 19th-century girl living in New Orleans, who was discontinued in 2014. But to punctuate the amazing #BlackGirlMagic happening this month, the company has released Melody: an African-American girl living during the Civil Rights Era. We are so thrilled for this because images of Blackness, in multiple forms, are so important for young children. It allows them not only to identify themselves in others, but also see opportunities for what their future can look like. Not only is it important for children to have toys that look like themselves as to promote self-esteem and self-love, but also meaningful toys that can create dialogue in the home. The doll will be released in Spring, bringing lots of opportunities for parents to have powerful conversations with their children about courage, freedom, and the rights of African-Americans.